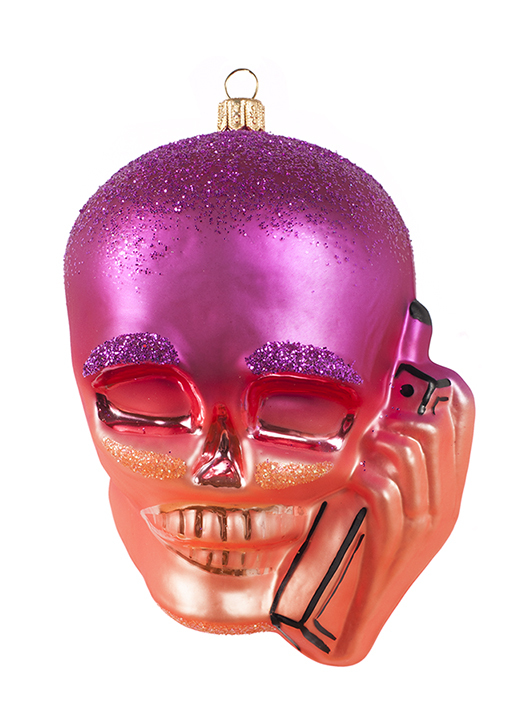 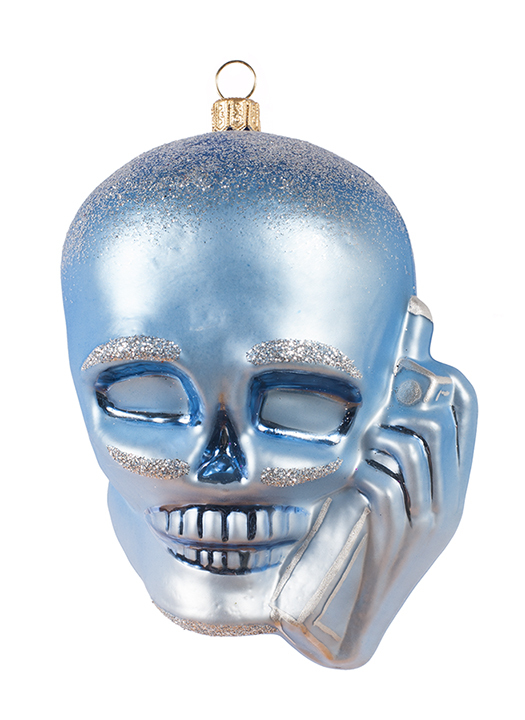 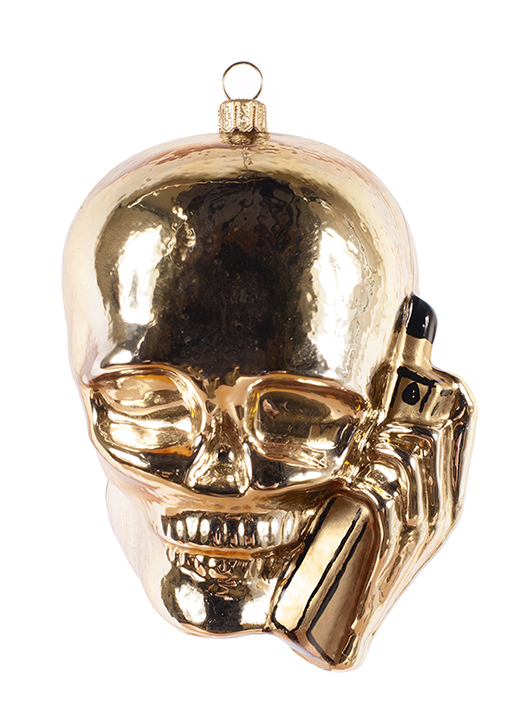 2017 marks the 10 year anniversary for the original set of Skullphone holiday ornaments released in 2007. 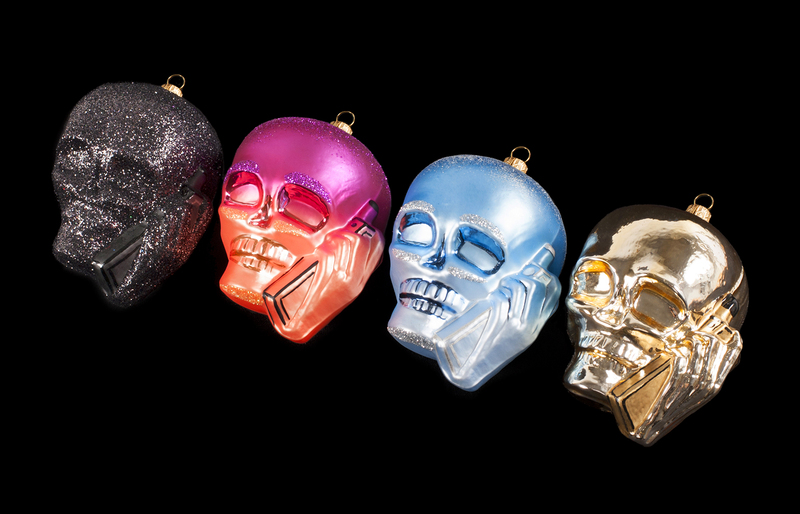 These new 2017 limited edition ornaments are made with hand blown glass, limited to 100 per color, and are signed, dated, and numbered by the artist. 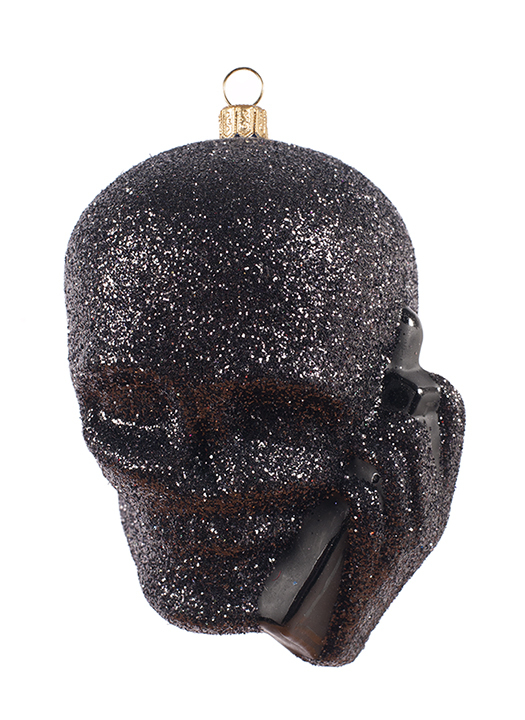 Available in Black Glitter, Hot Pink, Classic Winter, and Gold.